For some time now, B2B marketers have doggedly measured the number of their Twitter followers or Facebook ‘likes’. But as more B2B companies adopt social media marketing programs, the importance of measuring ROI is taking over, says Liad Guez from Oktopost. In an era where digital marketing is more of a science than art, why are today’s marketers still flocking to a fad that’s so hard to measure? Some rely on their gut feelings, claiming that social media ‘just works’. It’s true; the right post on a LinkedIn group might generate more leads than hundreds of costly PPC ads. But like any marketing activity, it’s only good as long as you can scale, measure and improve. This is the problem that we set out to solve in mid 2011. At the time, there were impressive social media marketing tools on the market, such as Hootsuite, Sprout Social and Wildfire. However, we found that their capabilities were either irrelevant or lacking when it came to B2B activities like lead generation, conversion tracking and publishing on LinkedIn groups. As B2B marketers, we felt that we were missing out - so we decided to build a tool to fill in the gaps. We asked ourselves what we needed to generate leads and soon established five key elements essential for any social media lead generation program. These elements became the backbone of the Oktopost social media platform. Effective marketing teams organize their workload into controllable and measurable campaigns. Campaigns can run for product launches, webinars, conferences etc. Even the simplest piece of content like a blog post can be distributed, promoted and tracked as a campaign. Say you write a really interesting and popular post – why not build a content distribution campaign around it? You should be able to build campaigns around anything you want. How many times have you viewed reports with no real actionable items? It’s easy to find out how many Twitter followers or Facebook fans you have – but when you can just buy 1,000 followers for 30 bucks does this really mean anything? We don’t think so! We think it’s important to analyze data that can be used to improve your campaigns – like knowing which LinkedIn Groups generate the most website traffic or which messages spark conversations. Leads are the essence of most B2B marketing campaigns. You need to be able to view personal details of your leads and know where they came from. As such, social media platforms should provide you with the same level of information about your leads as Google Adwords. To ‘close the loop’ on reporting you need to track new leads from conception to closed sale. Most B2B companies are already using CRM applications like Salesforce.com that cover the entire sales pipeline. By integrating your social media tools with your CRM applications you can learn everything you need to know about your leads. Switched-on B2B marketers write 400 to 1,000 messages every month, most of which are posted on LinkedIn groups. As such, it’s difficult to keep track of all the conversations your posts trigger. Ignoring your leads is a sure fire way to lose them – so you need to be alerted every time that someone responds to your posts. We examined these five key elements and built a solution around them. 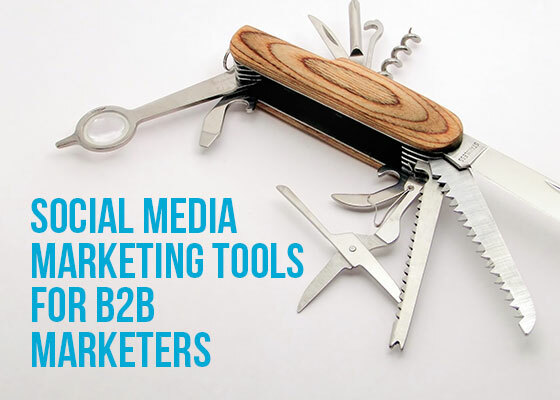 In doing so, we found the solution to B2B social media marketing challenges and have helped others do the same.